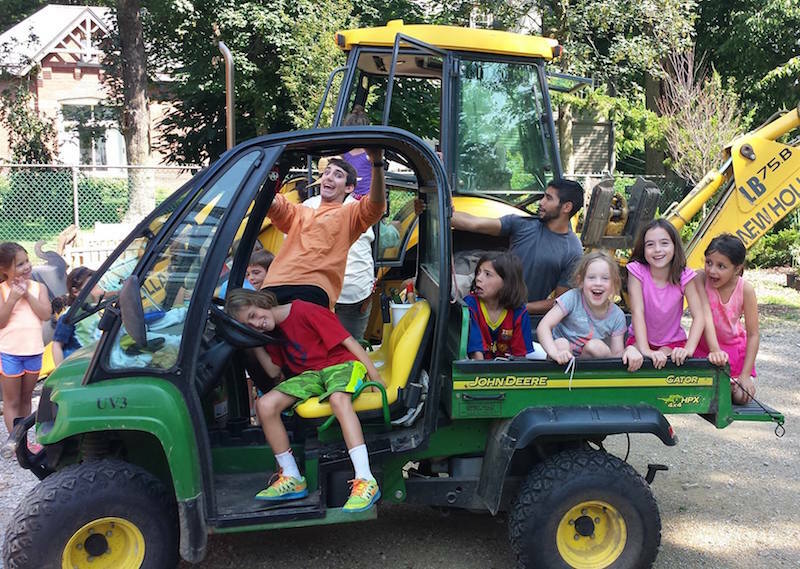 For Summer 2019, Serendipity Day Camp is welcoming campers ages 6-12 to Haverford College’s campus for activities such as kickball on the Cricket Field, making art from recycled materials in James House, harvesting veggies at HaverFarm, cooking at the Multicultural Center, swimming at the pool, and drama in Marshall Auditorium as well as field trips and community service trips throughout the region. Serendipity will be in session from June 17 to August 1 (no camp on Thursday, July 4th) and is staffed by Senior Counselors from Haverford and other colleges (many of whom are former campers themselves) as well as Junior Counselors from the local community. Camp is in session from 9:00 a.m. - 3:00 p.m. with Extended Day hours running to 4:45 p.m. Camp fees for 2019 are $230/week, with an additional $25/week for Extended Day. As part of the application process, families will submit the following forms via email to Patty Rawlings at prawling@haverford.edu, or by mail to Patty Rawlings, Serendipity Day Camp, Haverford College, 370 Lancaster Avenue, Haverford, PA 19041-1392. Former campers ages 13-14 will have the opportunity to apply to the Marilou Allen Leadership Program. Marilou Allen Fellows will get a “behind the scenes” look at the camp as well as the College, and will occasionally shadow staff members whose skills range from coaching to filmmaking to conflict resolution. If you have questions, please contact Patty Rawlings. Haverford College seeks to hire eight Junior Counselors and sixteen Senior Counselors for Serendipity Day Camp. Inquiries about counselor applications should be sent to hc-serendipity@haverford.edu. Serendipity channels the community-centered spirit of camp founder Marilou Allen, Director of Haverford’s 8th Dimension community service office (now the Marilou Allen Office for Service and Community Collaboration) for over 30 years, and a lifelong resident of Ardmore. Each week brings new experiences: you may find yourself nose to nose with a penguin on a field trip or representing Ghana at the camp olympics or showing off a new dance move to family and friends on Drama Night. Counselors bring a wide range of experiences and talents to their work and play with the campers. Serendipity is always looking for counselors who have great ideas and are energetic, spontaneous, patient, and willing to work happily in the heat and rain.